Dr. Tang took up his career as doctor only because clinical cancer treatment was challenging and promising. However, while treating cancers, he realized that his job was the best way to help patients. Therefore, he persisted in his choice of clinical cancer treatment with belief of helping more patients by eliminating their painfulness. Except for improving professional skills constantly, he pays attention to console patients and encourage them patiently to build up their anticancer confidence. From March 2012 to January 2015, he received further study in Southern Medical University. 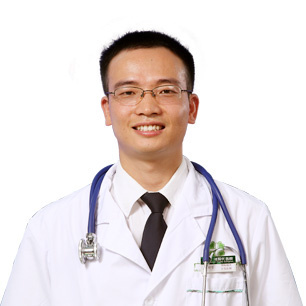 Dr. Tang Xiangzhuan started his work on clinical cancer treatment after graduation in 2005. So far, he has devoted himself to oncology for 10 years, when he widely read relevant oncology books, searched the latest cancer information on the internet, consulted with experienced doctors and actively joined in cancer treatment trainings. Gradually, he had got improvement on his knowledge storage. Moreover, he tried to combine theories with practice and applied them in cancer treatment.